'Boring' Singapore City Photo: The Pool High Up There. It's the pool up there. However if your hotel room is higher up, it's the pool down there. 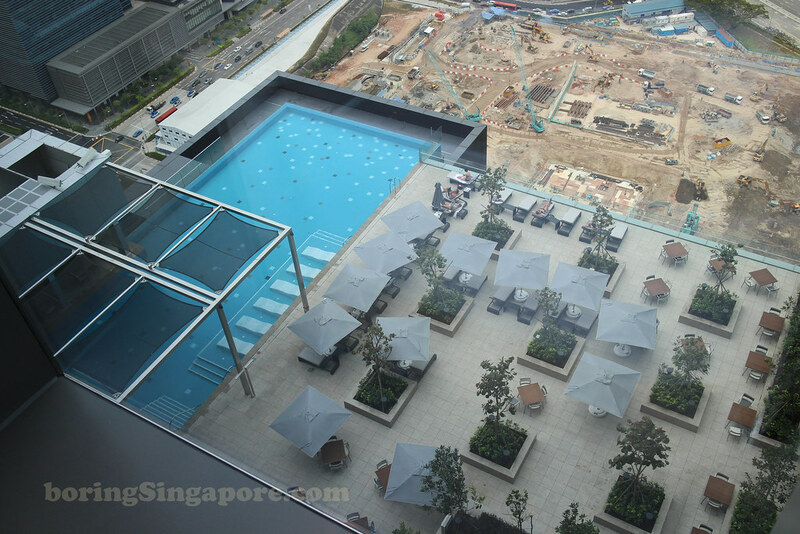 The view of the Infinity Pool at the new Westin Singapore. For those who are bored, you can always come for a swim here.